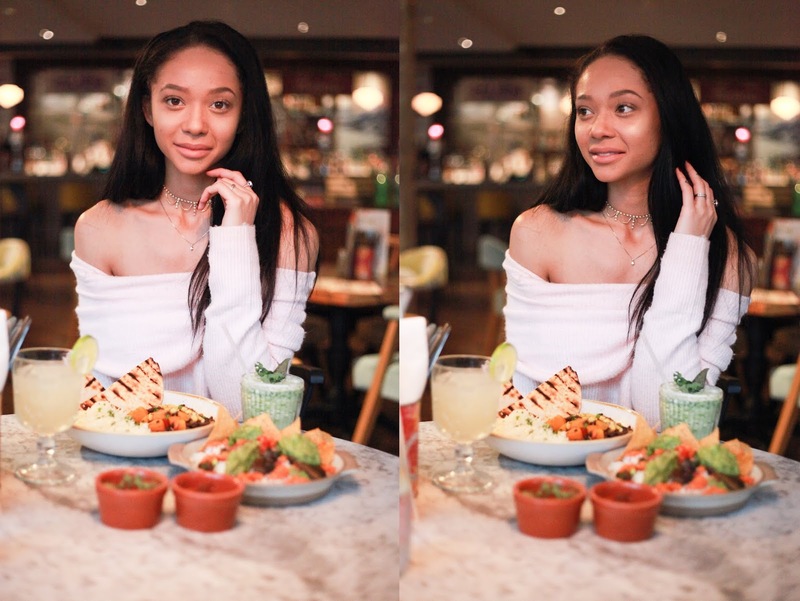 In true spirit of #Veganuary I decided to taste a few different Vegan food options when eating out. I do eat out quite a lot and sometimes I just don't fancy a huge meal, whatever month of the year it is and for this the vegan options are fantastic. 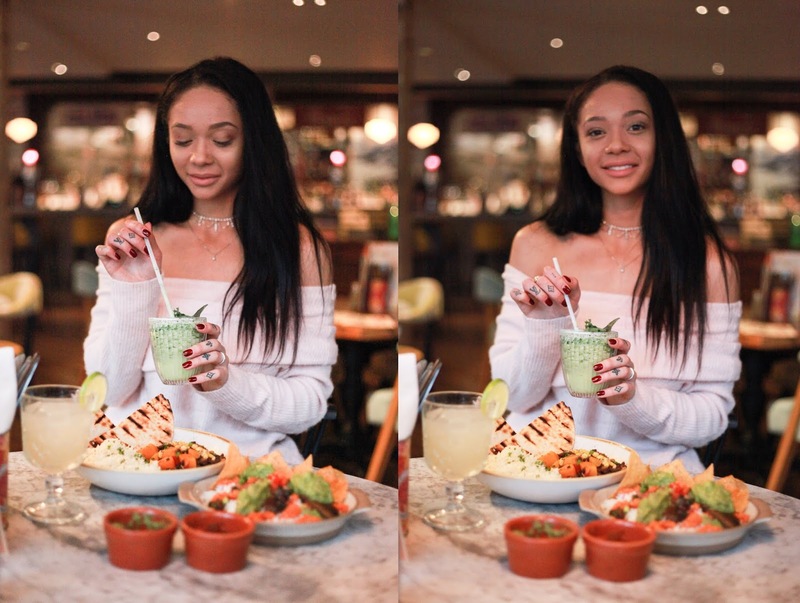 When it opened a few months ago, I went down to try the brand new Revolución de Cuba in Southampton and the food was so incredible I rolled out of there. A great mix of fresh vegetables, halloumi, croquettes and much much more Cuban Tapas. The actual restaurant is huge and very spacious but also feels cosy when you have your own little booth or table tucked away (there are also huge tables great for birthday meals or cocktails on a night out). We sat down and started with the Nachos. 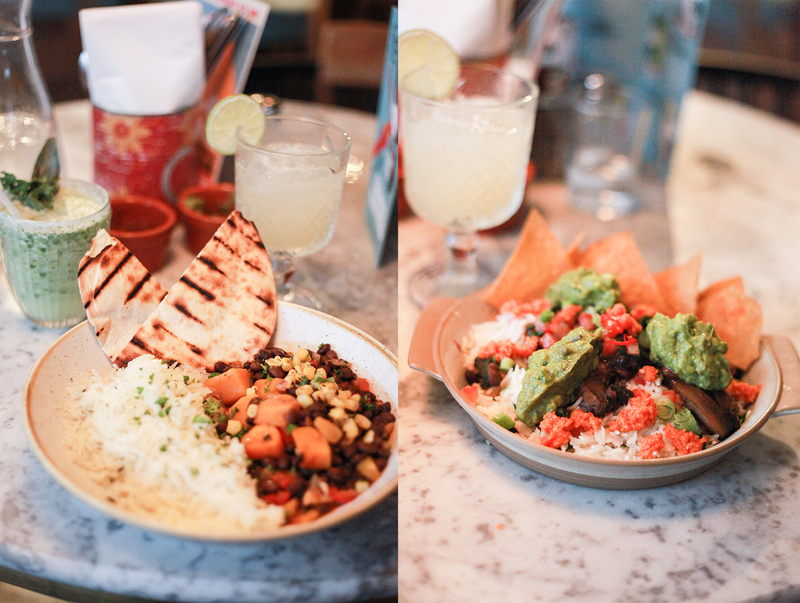 We 100% took the option of adding extra Guac and Salsa and enjoyed them while we chose our mains. Drinks wise, we both chose a tasty cocktail from their specials list (because we all know I don't partake in Dry January). Feeling jaded? Let us mix up this bright, zesty Margarita to help banish your January blues. El Jimador Reposado tequila balanced with sweet agave syrup and freshly squeezed lime. For mains we both decided to have a one-bowl type meal and they didn't disappoint. Filled with flavour and packed with healthy goodness I was just as full as if I'd had a 'meat' meal. I chose the Black Bean & Butternut Squash Chilli and I didn't miss the usual beef addition at all. I was just as satisfied, in fact I couldn't actually finish it. I always worry that the taste will be bland but I have to say I think this has topped any chilli I've had out with meat just for the pure effort taken in the flavours. We also had the Beet Burrito and this had the exact same effect with flavour, taste, texture and filling-ness. It was exactly what we both needed for lunch I can tell you that! The mixture of the vegetables keeps every mouthful interesting and when you get full you kind of get sad, especially if there's any left! Whether you're just trying it out for January/temporarily or you actually are a committed vegan, these dishes are amazing and full of health, taste and fun. I would 100% go back and eat these again no matter what time of the year! Thank you so much to Revolución de Cuba for having us down and I can't wait to come back!